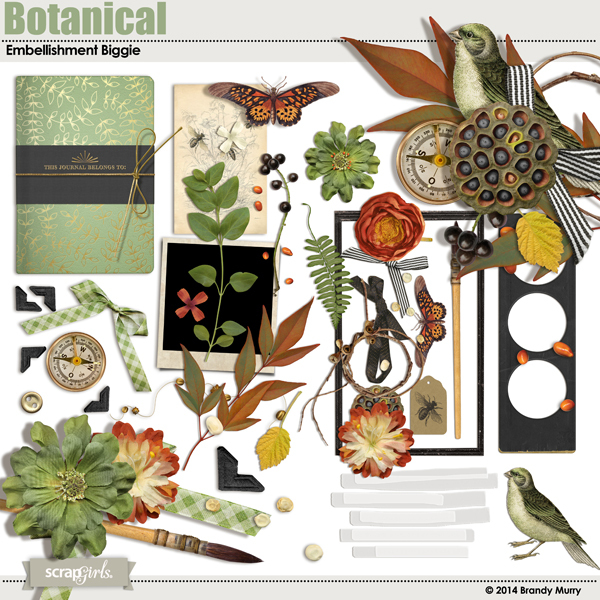 The Botanical digital scrapbooking collection is about exploring the great outdoors and the beauty that surrounds us in nature. 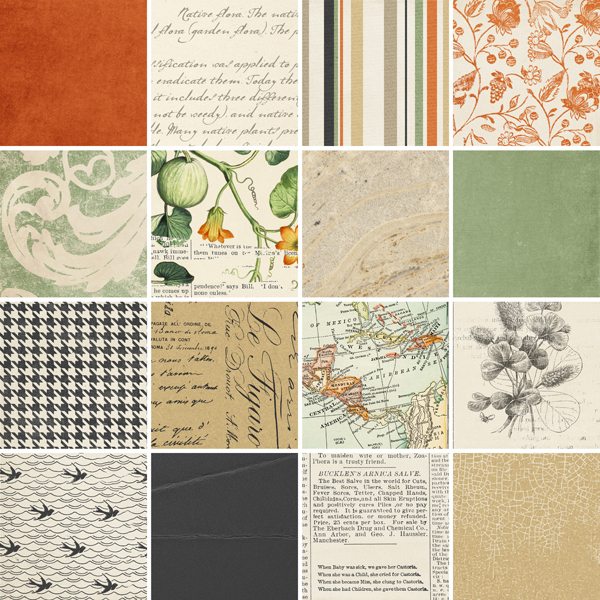 The Botanical Collection consists of a natural color palette with accents of gold, great for any type of layout and especially for photos of what the world outside has to offer. 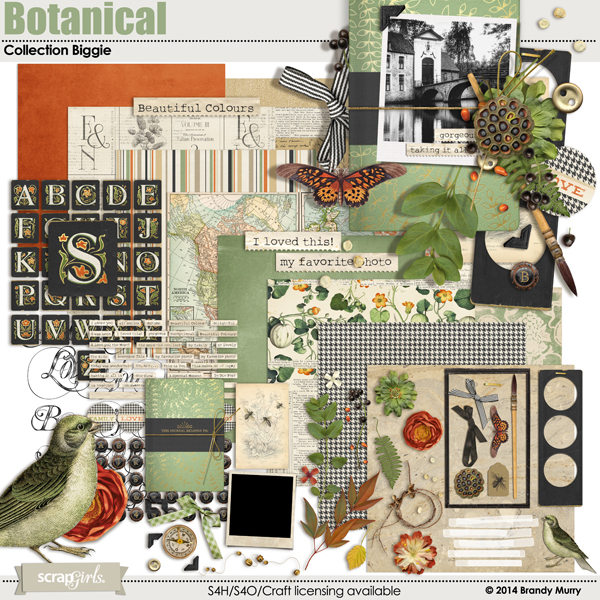 The Botanical Collection is part of the Scrap Girls November 2014 Club Offering. (16) Background papers including a mix of vintage patterns, book pages, solid textures, crackle, maps & designer mixes. (3) 8.5X11 pages of coordinating embellishments including fun items such as: ferns, abutterfly, a bird, a journal with special shadows, a beautiful dried lotus pod, a compass, scattered berries & seeds and and array of basics every scrapbooker can use. 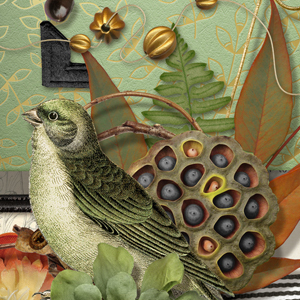 (2) Alpha Sets. 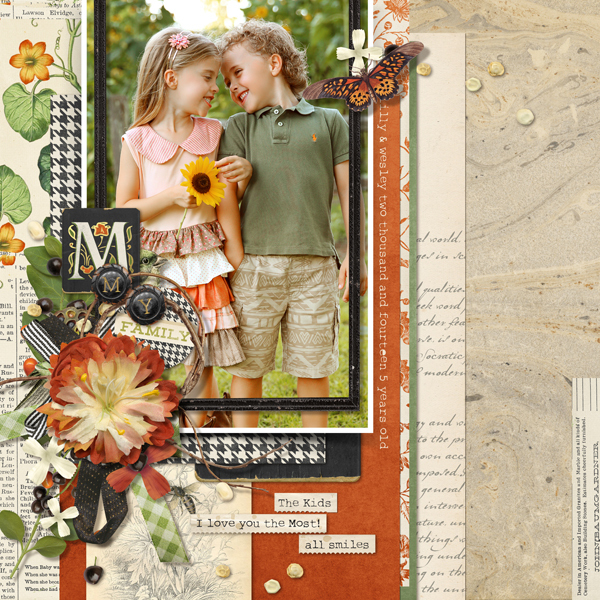 1 Painted squares with gold accents & 1 distressed wooden buttons. 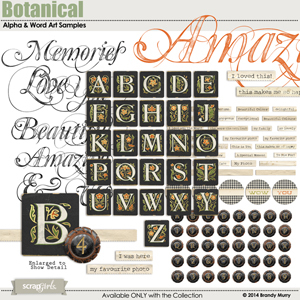 While both sets include all letters, the button alpha includes numbers and some some punctuation. 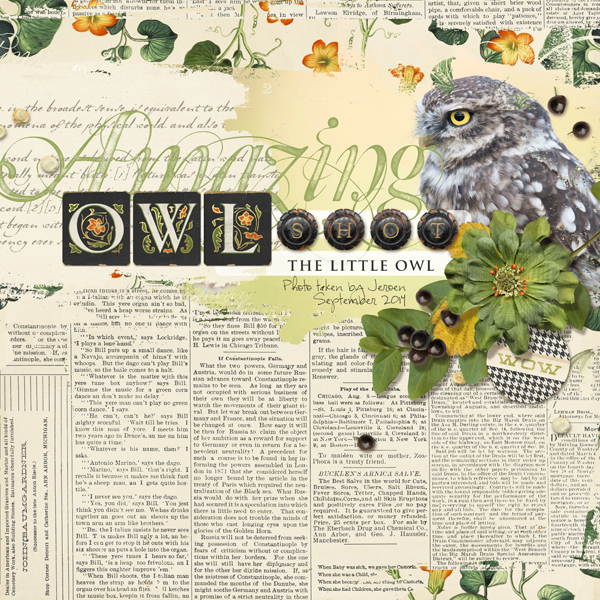 (2) 8.5X11 pages of coordinating Word Art. 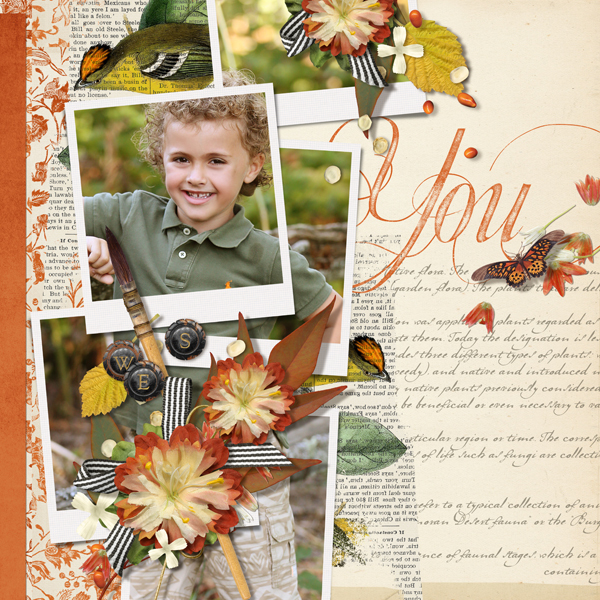 The Word Art includes all kinds of related word tags plus many sponge stamped script page titles. 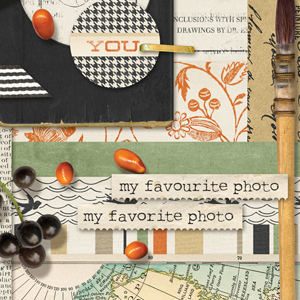 This set of 6 framed chalkboards, is a perfect fun and unique embellishment to add to all your digital scrapbooking layouts. 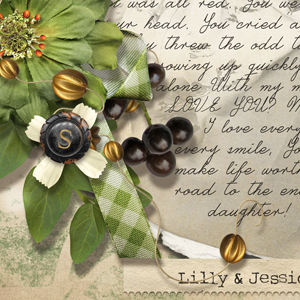 This set of embellishments comes as both 1 individual png file and also separate frames and chalkboard pieces. This coordinates with Brandy Murry's Countryside Collection products. 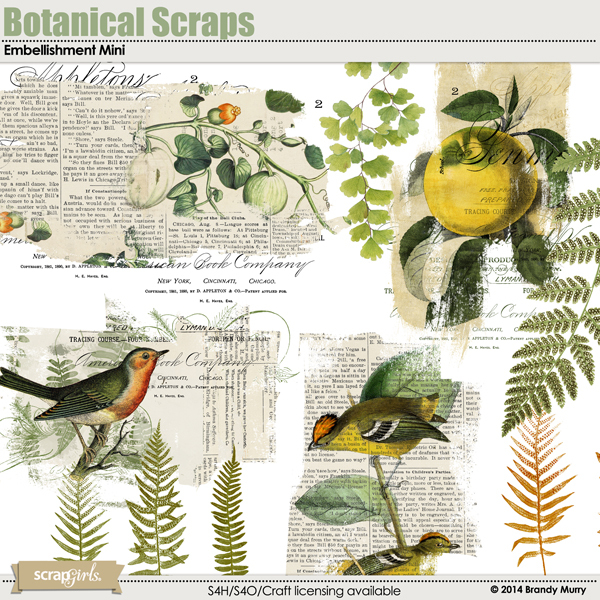 Use the Botanical Scraps Embellishments as photo masks, blending or as backing for clusters. 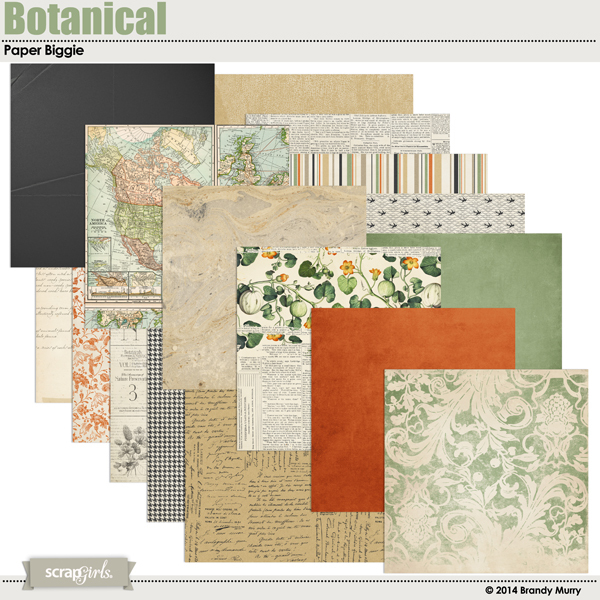 Mix and stack them for unique digital scrapbooking combinations. XOX is an artsy fun digital scrapbooking & photobook large kit sure to give you smiles. 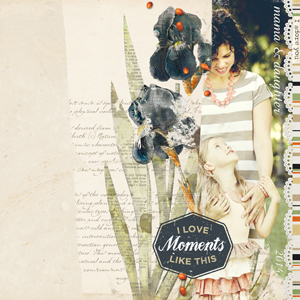 It's full of pops of bright summer colors paired with a black and white base. 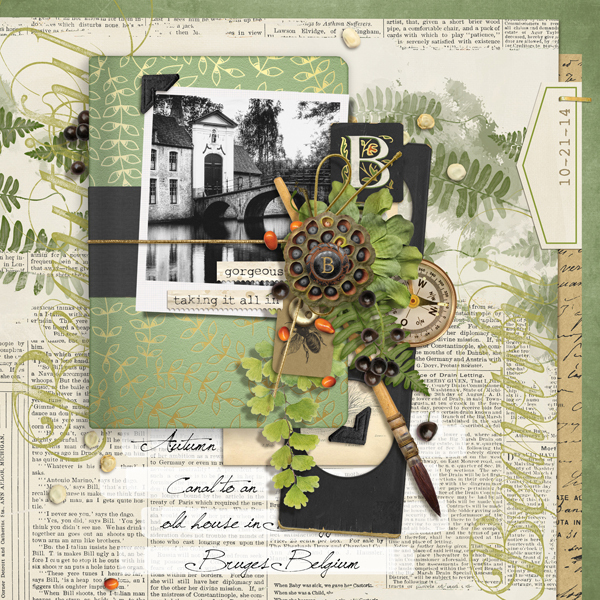 Get ready for fall with this everyday digital scrapbooking collection boasting autumn hues of mossy greens and earthy clay.